YES & NO (No.02:02) went on sale in MAGCULTURE on Thursday 29 November 2018. This new edition is now rolling out into selected specialist magazine stores across the UK and around the world—in Europe, in Asia, and in the United States. If you’re unable to find a copy of the new YES & NO in print, why not subscribe and have each edition posted directly to your home or place of work by Royal Mail? Please click HERE to choose from our great new subscription deals. I hope you enjoy the new YES & NO; I’m proud of everyone’s work, and think this issue is dynamite! From time to time—more and more, in fact—people ask me what is YES & NO all about. They’ve heard about it but haven’t seen it in the flesh, as it were. What is its appeal and why does it appear to be continuing to go from strength to strength? Clearly these are mostly people who were naysayers in the early days of the development of the idea; people who were convinced the magazine was sure to fail and would never succeed. Now that the 6th edition has just been launched—after a fantastic CHAMPAGNE TAITTINGER Reception at the studio of artist TANYA LING in Covent Garden, London—some are still scratching their heads. Many more are clapping their hands and celebrating the fact that the YES & NO exists at all. In a way, the magazine defies logic. Its concept is so simple, it’s absurd to think why no one has thought of the idea before. So what is it about YES & NO that’s so appealing? YES & NO is a magazine about everything. But it’s not about anything. The reason why it takes this form is simply because I’m interested in everything. Therefore, I believe its appeal is rooted in the plain fact that it is a bold, multifaceted independent publication that speaks to free, rational individuals who exercise their own judgement. This isn’t the egotistical, self-centred man on the street. This is the independent thinker whose interests are essentially for the good of all. Earlier this year en route to the FIFA WORLD CUP I was in Paris. 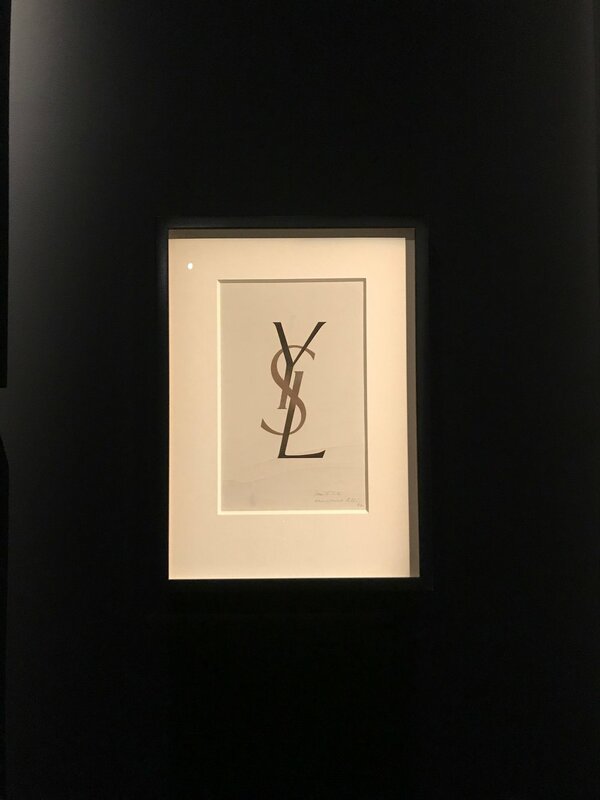 Sitting on the Metro, heading from Gare de Nord to Jussieu in the 5th arrondissement, I caught sight of a poster advertising the MUSÉE YVES SAINT LAURENT. Later that day, at around 6pm, I arrived at 5 avenue Marceau where the museum is located—YSL’s former studio. Saint Laurent inspired me when I was 12 or 13 after I’d read an interview he gave for BRITISH VOGUE. The interview accompanied a feature on Saint Laurent’s fur coat collection. The piece was called “Superlatives”. This was before the notion of Animal Rights became a thing worth thinking about, before PETA was founded. Saint Laurent’s coats—for her and for him—were made of furs from around the world: fox, mink, astrakhan, silver, white, black. You name it, Yves used it with flamboyant abandon; and he designed them from the neck right down to the toe. Some even had matching hats or muffs for that ultimate finish! I was too young and ignorant to think about the meaning of fur coats on any moral or ethical grounds. In the interview, however, the single thing that Saint Laurent said, the thing that stayed with me and opened up worlds of possibilities, was that he’d always looked for (and found) inspiration in “the gesture”. The gesture could take any form—a thought, a glance, a mark made by a paint brush or a pencil… At least, this’s how I remember it, his voice, the feeling it gave me. And when you see the museum dedicated to his life and work, you see (and feel) his touch and his voice everywhere.